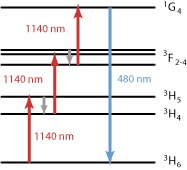 Ask RP Photonics for advice on details of soliton pulse propagation, e.g. numerical modeling. The soliton period is defined as the period with which higher-order soliton pulses evolve: after that propagation distance, they reproduce their original temporal and spectral shape. 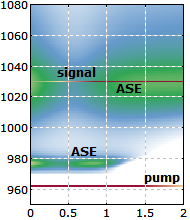 where τp is the pulse duration (full width at half-maximum, FWHM) and β2 is the group delay dispersion of the fiber (in s2/m). This shows that the nonlinear phase shift for the peak of that pulse in a non-dispersive fiber would be π / 2. The influence of chromatic dispersion is to obtain only a π / 4 phase shift, but this for the whole soliton pulse and not only for its peak. In situations where solitons are periodically disturbed (e.g. in a soliton mode-locked laser or in an amplified optical fiber communications system), the effect of these disturbances depends strongly on the ratio of the period of the disturbances to the soliton period. If this ratio is well below unity (as is often the case in lasers), the solitons essentially experience just the average values of chromatic dispersion and Kerr nonlinearity, but for larger values of this ratio solitons can become unstable.